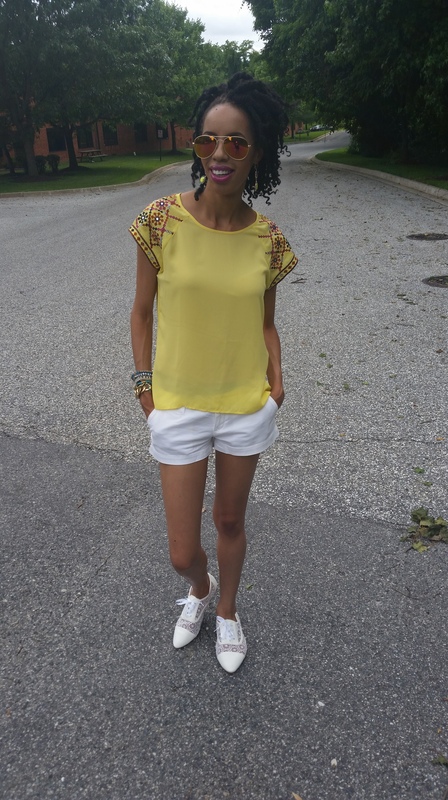 Yellow, a universal color that is used to brighten our skies and welcome a baby boy or girl into the world… a color that I wear to brighten my own day! No matter what type of mood I am in, this color brings an instant cheer. I also love the way it looks on tanned skin in the summer. Our current #ccgrainbow Challenge is for you to find something yellow in your wardrobe! Hurry… the winner will posted on Monday morning! 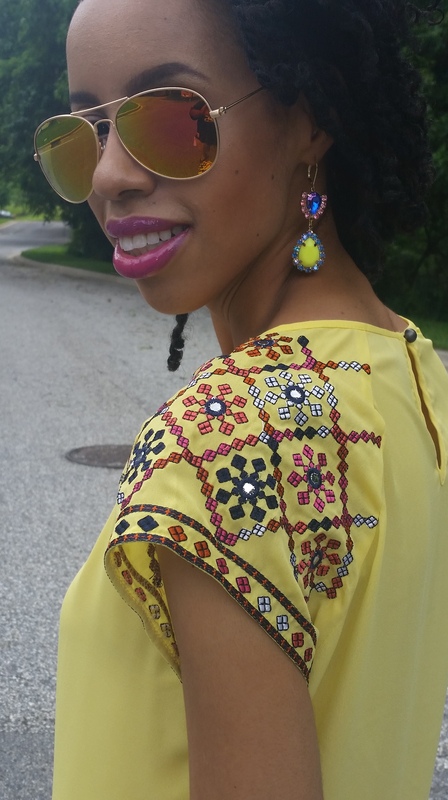 Embellished sleeve top & earrings: Francesca’s. White lace shoes: Victoria’s Shoe Palace. Hat: thrifted. Pants: Wear It’s At Consignment Boutique. 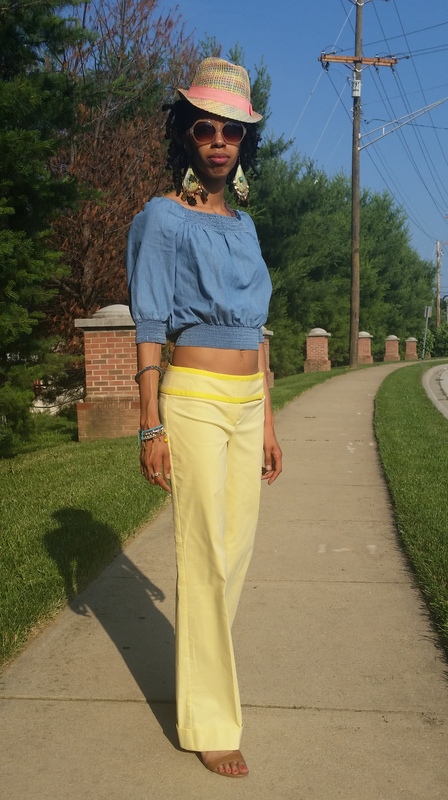 This entry was posted on June 20, 2014 by LaQuisha Hall in #ccgrainbow, Brand Ambassador, Casual Wear, Francesca's, OOTD, Thriftanista.